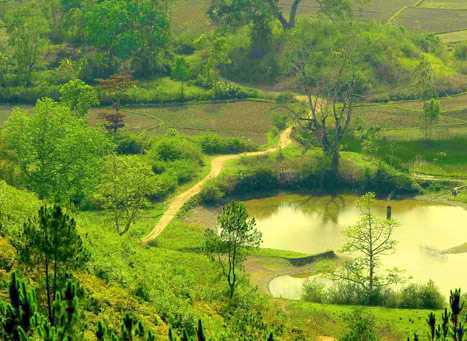 Amidst the hills and hillocks, the town of Thoubal is one of the most developed regions in Manipur. From natural abundance to cultural heritage to shopping destinations, Thoubal is reckoned to be one of the best places to visit in Manipur, and therefore, is always thronged with numerous travellers. However, a larger footfall of tourists is marked during the post monsoon season, i.e., in the months of winter, which is also consider the best time to visit Thoubal. The month of April brings summer season in Thoubal that lasts until June. In the course of these months, the temperature of the town ranges between 24° and 34°. The hot and humid weather during the summer remains quite uncomfortable for tourists to explore the region to its fullest. Monsoon season in Thoubal is subjected to heavy rainfall that makes totally unfavourable weather conditions for tourism. The season starts in the month of July and ends in September and the temperature throughout this time ranges from 22° to 32°. Winter is the best season to visit Thoubal. Commences in the month of October, the season receives a cold and pleasant climate that allows tourists to explore the each and every attraction of the region. Moreover, the temperature during the winter season in Thoubal varies between 11° to 24°. The season lasts until the month of March.